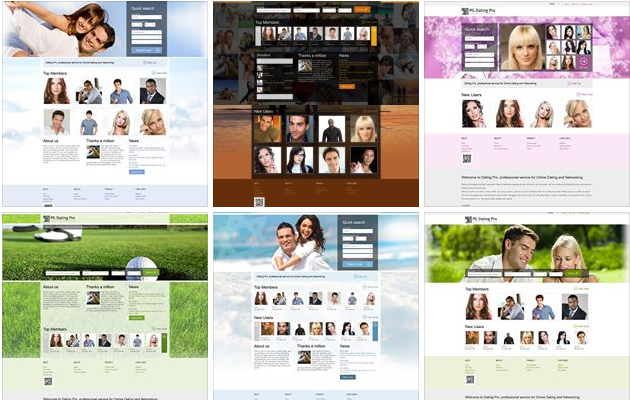 Dating Pro team is happy to introduce the new set of dating site templates, applicable to different niche ideas, starting from Christian dating, Matrimonial website, through travel companions and local communities to websites for pet lovers, and more. Check the high quality screenshots on our Facebook page or visit the demo website and use the switcher on top of the page to see the themes in action. We would love to hear your comments on the new design templates, ideas and suggestions.